Hey Everyone I am so happy to be back with you again. With Christmas just around the corner I haven't been on here that often and for that I truly do apologize. I will do my best to get at least another card posted this week, but I make no promises. I hope that you are all enjoying this beautiful season and that you are getting a chance to spend some time with your loved ones and friends. 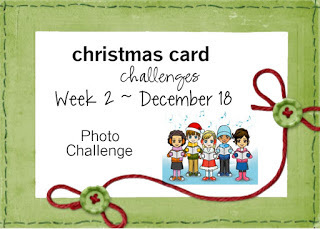 This week the challenge at Christmas Card Challenges is a photo challenge. I would love to see you join us and play along with the Design Team for this challenge. You can find a link to the challenge at the top of this post. For this challenge I tossed around the idea of 2 images that I had that I knew would work perfectly for this. 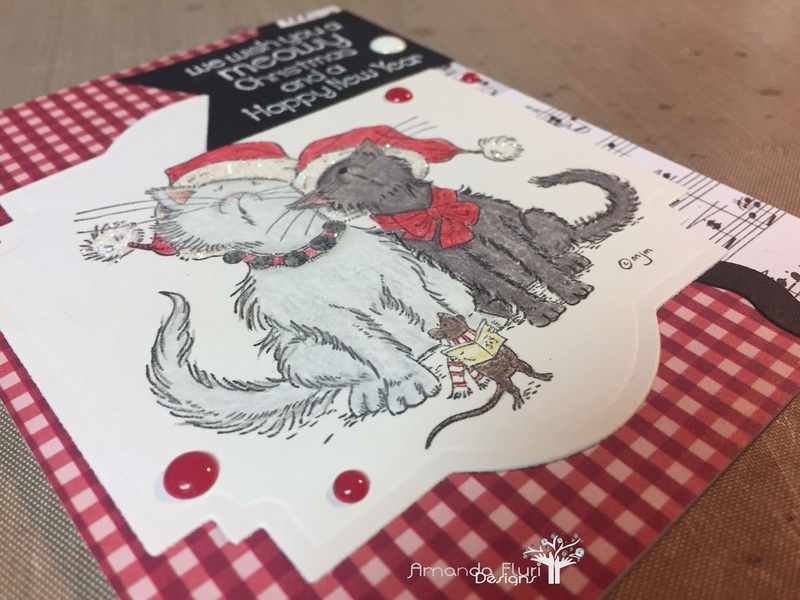 I finally settled on one and decided that I was going to make this card in Non-traditional colours. For those of you who follow my blog you can see that I usually LOVE to stick to traditional colours, but I thought changing it up would be a challenge for myself too. I started with colouring the image, and then selected pattern papers to go along with it. I also figured out the card layout after choosing the pattern papers. Tim Holtz Scissors - used to trim the sentiment down and the black boarder on the card. Tweezers - used to help position various parts of the card and the sprinkles. Red Plaid Paper - for the background on the card - I cannot find an exact link, however I've linked to similar papers. 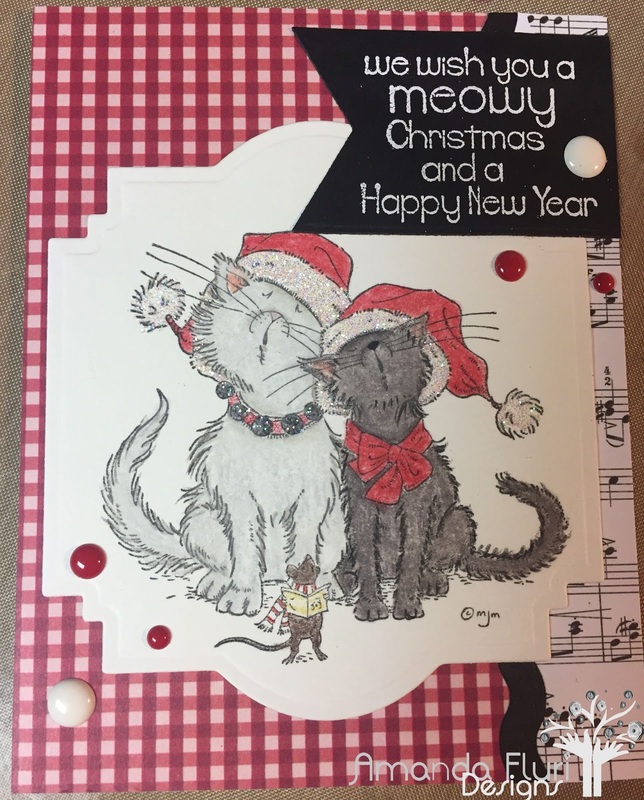 Music Paper - used for the boarder along the edge of the card - I cannot find an exact link, however I've linked to similar papers and products. Thanks for stopping by. Please leave me some love in the comment section below. Cute card! What a perfect sentiment for that image! 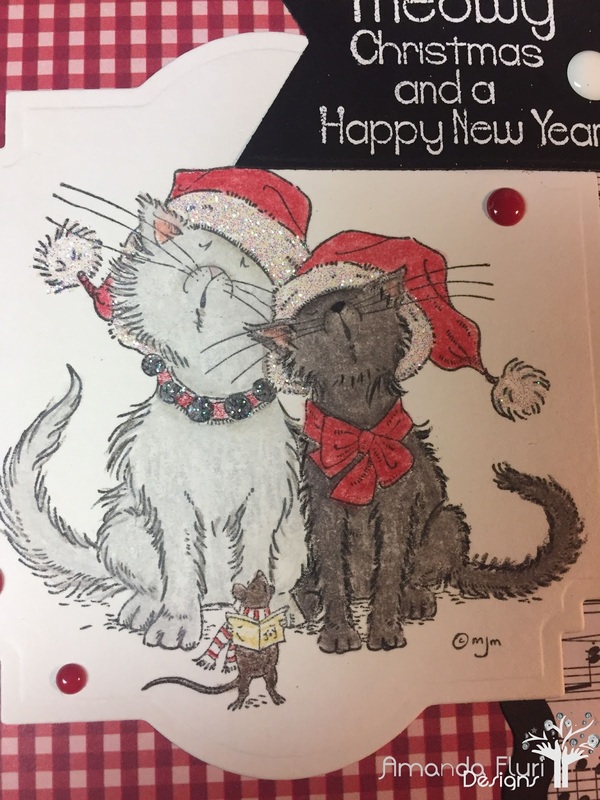 I just colored up the same one for my daughter who has 2 cats. Where is the sentiment from? Hey Susan, The sentiment stamp is from the same set that the cats are from. Singin so Beautiful from Stamping Bella! Hope this helps!